"Teaching is Listening, Learning is Talking – Deborah Meier"
"I hear and I forget. I see and I understand. I do and I understand"
Well, we’ve the different sectors using the LMS but when it comes to choose one which fulfills our demands and needs, is a difficult task. 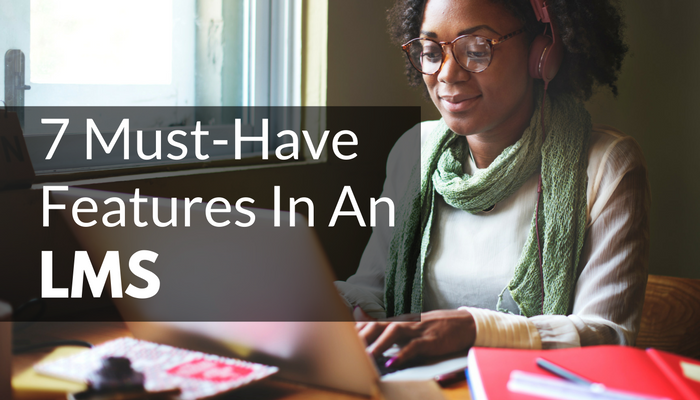 So, here’s a list of must-have features you should keep in mind before choosing an LMS. Well, it may sound easy and simple but it's hard to find. Providing various learning tools on the platforms that are not only essential for learning but also enhances the learning experience, it is difficult to keep the UI of an LMS user-friendly in nature. Not only LMS should have dynamic e-learning content study courses and excellent services but also a branding feature where the university or the corporates can unify their own LMS’s look and feel. This is another feature which helps the administration / tutor access a student’s performance. Through various reports, the tutor and administration can help the student improve and work on his / her weakness. The reports help to keep a track of the students and other functionalities to have the best two-and-fro system. Queries like is the student regular? have the students completed their course? Has the student paid the fees? etc are answered through the report. Another feature which required is the authoring tool using which the administration/tutors can create assignments and assign them to the students. Also, the quiz allows the students and the corporate to appear quiz and can assess their knowledge. Cross platform communication is in a high demand and its growth is increasing just because our lives is a mixture of various apps and devices. Our lives become easier and faster when these apps interact. There are 100s of applications which has this feature. For eg Facebook or LinkedIn or Google sign-in makes communication possible between the LMS and your social media like sharing content etc. We use phones for search, shopping, messaging, etc. Our lives are dependent on mobiles. Well, through mobiles we can access our needs from anywhere and anytime. Thus LMS with mobile friendly support is a bonus. To attract more learners and corporate a device independent LMS is the best way to impart learning. We don’t like to wait at any point in time. Things should happen faster and at a flick of our fingers. So, the LMS must have SCORM or SME compliance where the administration / tutor can upload the resources in one click which benefits the user. Also, the administration must be easily able to upload all their data on the system to get started. The system should be able to provide both the types of solutions – Cloud Based and Hosted. The cloud based can be accessed at anytime and anywhere via internet. While for the universities and colleges for whom speed is must a, the system can be hosted on a separate hosting server and can be made available for access. If you find these 7 must have features integrated in an LMS do not hesitate to choose it as these are the functionalities which makes the learning experience productive in nature.